01 February 2016, at 12:00a.m. Lee Danks in the 1st of a new series looks at the role food plays in training a pet, from rewarding appropriately to ensuring any treats are functional and won’t lead to dietary disturbances. FOOD and our manipulations to the access to food have been central to the relationship between humans and pets throughout the domestication process. For dogs, food remains a resource, essential to survival, but its control and distribution also fulfils a social role. When we first started sharing our food resources with the early domesticated dog we were in fact engaging in a form of positive reinforcement. This involves increasing the likelihood that the behaviour will recur by adding something the animal desires. Each time positive behaviour is reinforced, the particular response or behaviour will be strengthened. For today’s dogs, the role of food can easily be misconstrued. Owners may often be under the impression that their dogs attach exactly the same social value to food as they do. The control and exchange of food relates to equality and friendship. Owners can offer food as a gift to gain friendship with a pet or invite them to dine at the table or off their own plates, which may lead to behavioural and diet-related problems. In order to avoid this, we can educate owners on the differences in how their pets view food: as an essential survival resource. We should help them realise their pets’ motivations, especially when food is used to train and modify behaviour. Good training starts from the moment the owner receives the new pet, and can act to help normalise behaviour and create a sense of secure belonging. Most modern training methods fall into the classifications of positive reinforcement, negative reinforcement, positive punishment, and negative punishment. Methods using positive reinforcement are by far the most effective and considered to be the least stressful for the animal. Food can be an imperative part of this and by controlling the resources that motivate a pet, the owner gains leadership. Evidence shows that dogs trained using positive reinforcement with food demonstrate a reduced rate of aggression, alongside increased attentiveness towards owners.2 However, positive reinforcement doesn’t always need to include food. In some cases, awarding with play, using a favourite toy or even simple owner recognition may be just as beneficial. Praise can be a big driver for behavioural change and indeed, whether the animal is food-oriented or not, in every case praise should be used in addition to food rewards. As food is integral to many owners’ training routines, choosing the correct food reward takes careful consideration. Owners can easily forget that they’re looking for a “functional reward” and instead opt for “treats”. This may seem simply a matter of semantics but when those “treats” are selected based solely on palatability or cost, or more likely they’re human foods selected based on their ready availability (cheese, ham or sausage), we ignore the functional role of food. The calories and nutrition in poorly selected “treats” can be inappropriate for the pet, especially during extended and frequently repeated training sessions. Feeding inappropriate rewards can lead to dietary disturbances and if sustained, particularly where rewards are high in calories, obesity. Ideally, positive reinforcement rewards should be first taken from a pet’s measured daily ration, and should not only be a palatable motivator, but low in energy. Many opt for something different from the pet’s normal diet, so the dog recognises the reward as a distinct incentive. This is where a supplement such as Royal Canin Educ might be used. Remember also that a good rule of thumb is that rewards shouldn’t consist of more than 10% of the pet’s daily caloric load. To provide a variety in texture, some owners prepare their own “homemade treats” or rewards, blending a kibble with water and reconstituting and baking it into a novel shape. Although appealing to some owners, additional processing of diets can interfere with the digestibility and nutritional value of a precisely formulated product and is therefore not recommended. In summary, the role of food in the owner-pet relationship is central and the act of feeding is a key interaction. The way food is viewed differs between humans and animals, however, and owners should endeavour to understand these differences in order to obtain the best outcome from the use of food in positive reinforcement training. The use of food as a training tool means we should be conscientious not to confuse our dogs during normal meal times or by engaging in careless feeding practices such as rewarding begging behaviour. 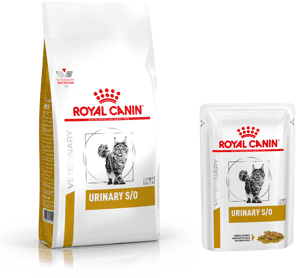 The choice of reward is a crucial one, and owners should consider their options carefully to ensure that the food is appropriate, palatable and ensures the best outcome. Bowen, J. (2014) Canine Feeding Behaviour. Veterinary Focus 24 (3): 8-15. Casey, R. A., Loftus, B., Bolster, C. (2014) Human directed aggression in domestic dogs (Canis familiaris): Occurrence in different contexts and risk factors. Applied Animal Behavior Science 154: 52-63. Yin, S. (2012) Which Category of Operant Conditioning is It? Available from: http:// drsophiayin.com/blog/entry/which- category-of-operant-conditioning-is-it [accessed 19/01/16]. Halsberghe, C., Heath, S., Iracka, J. and Muller, G. (2010) Veterinary Focus Special Edition: A behavioural approach to canine obesity. 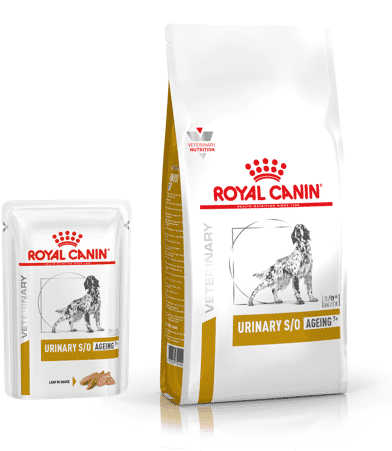 Aimargues, Royal Canin.